Despite a bad reputation as an annoying weed, dandelion leaves have long been used in foods, drinks and herbal medicines. You may have a ready supply of dandelion leaves in your own back yard, but you also can buy the leaves fresh for salads or dried to make dandelion tea. In addition, the leaves and roots may be processed into a tincture, liquid extract, tablet or capsule for use in treating a wide range of physical conditions. Whether you see dandelions as pretty or pesky may determine how they affect your mental health, but scientists have found the weeds can be good for your physical health. The University of Maryland Medical Center says dandelions are rich in vitamins A, B, C and D. The plants also provide minerals such as iron, potassium and zinc. You can eat more than just the leaves. While the leaves can be found in salads and teas, the medical center notes that dandelion roots may be used in some coffee substitutes and the flowers may be used to make dandelion wine. According to the University of Maryland Medical Center, dandelion roots and leaves have been used throughout the centuries to treat a variety of ailments. They’ve been used in traditional medicine to treat liver problems. Europeans used the plants to treat fever, boils, diarrhea, diabetes and eye problems. Native Americans used the plants to treat kidney disease, skin problems, heartburn and swelling. In China, the plants have been used to treat appendicitis and help breast-feeding mothers with their milk flow. Today, the leaves of the plant are used mainly as a diuretic. Dandelion leaves are generally considered safe, but some people with allergies to plants such as ragweed, marigolds and daisies should avoid dandelions because of the risk of allergic reactions. 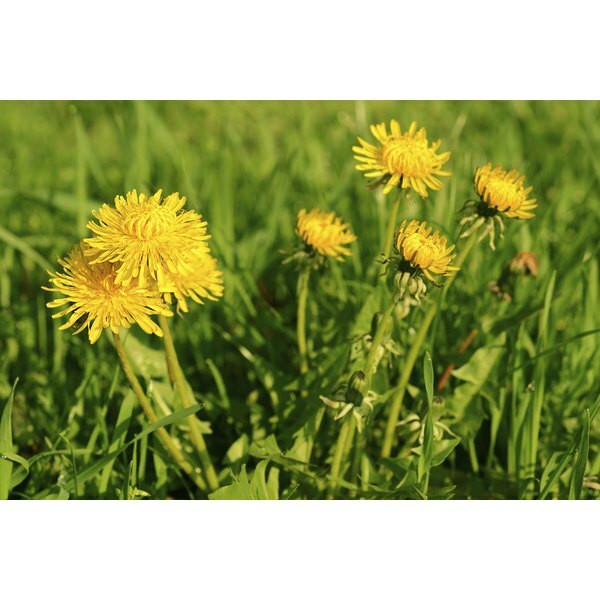 Dandelions may cause heartburn and increase stomach acid in some individuals, and the University of Maryland Medical Center notes that people with gallbladder problems and gallstones should talk to their doctors before eating dandelions. In addition, dandelions may interact with some prescription medications. Talk to your doctor before using if you are on medications such as lithium, quinolone antibiotics and antacids. Can I Eat the Russian Sage Growing in My Garden?